Moonlight: the radiance of light that shimmers across clear skies at night. A constellation of stars & their celestial beauty. The gradual dawning of a new day as the flickers of morning light dance its majestic dance. The reflections of a vast blue sea. A towering mountain peak. A forest of impeccable trees. Memories and dreams. 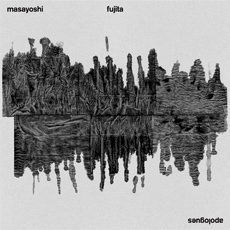 Somehow the music of Japanese vibraphonist and composer Masayoshi Fujita encapsulates all of these things: nature and an entire world that surrounds your each and every living breath. The Berlin-based composer’s new solo full-length – and Erased Tapes debut – ‘Apologues’ is a work of staggering beauty containing Fujita’s resolutely unique vibraphone-based compositions. The gentle, tranquil force of these vibraphone compositions forges a deeply contemplative experience where memory and music become intrinsically intertwined. 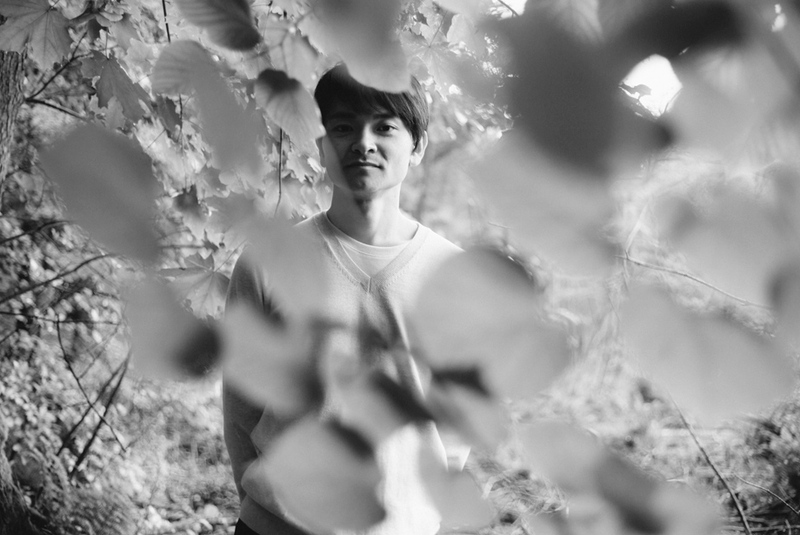 Marking a departure for Masayoshi’s previous solo work, an intricate arrangement of strings and woodwind (violin, cello, flute, clarinet, french horn, accordion, piano, snare drum) further expands ‘Apologues’s sprawling canvas of achingly beautiful sound. A lyrical quality is forever inherent in the gifted Japanese composer’s work; ranging from collaborative projects with German electronic musician Jan Jelinek to his own electronic solo project of El Fog. I’d like to think of ‘Apologues’ as a series of fairy tales or parables that describe the magic and wonder of dreams as a transcendent quality looms onto the horizon of each sonic creation masterfully crafted. The meditative vibraphone phrases on album opener ‘Tears of Unicorn’ casts a sadness of a river of tears. Moments later as layers of gorgeous strings coalesce effortlessly together, infinite rays of solace ripple across the vast sea of ‘Apologues’s divine sound world. ‘Apologues’ is out now on Erased Tapes. It’s very exciting to talk to you about the new album, ‘Apologues’. It’s a really beautiful record and I love how it’s a departure in one way in the sense that there are added strings and woodwind to the vibraphone instrumentation. If you could take me back to the making of the album and the different approaches that you used for this one? 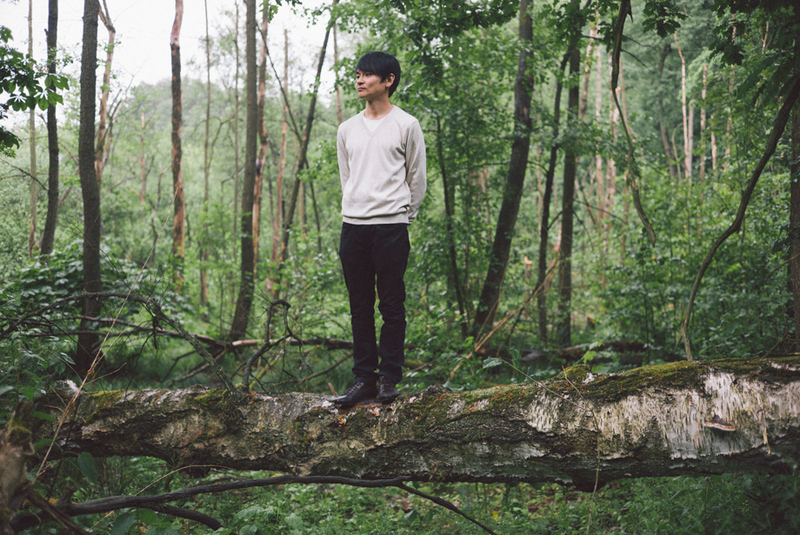 Masayoshi Fujita: Yeah I mean to add the other instruments – the strings and woodwind instruments – those ideas I already had when I finished the last album, I even put the violin and cello for two songs on my last album, ‘Stories’. It was a trial and test for me to work with other instruments and I like the procedure and I had a lot of fun arranging the other instruments and ensemble. So this time I made it a little bit larger. I had that idea before I started this album. In terms of the pieces of music themselves, I love the fact they are so lyrical where a story is unfolding as you listen to the album. It feels very much there is this beautiful narrative running throughout. MF: I always have some kind of story or more like a picture in my mind when I make music. I would say when I make music I just start playing vibraphone, just playing around on the instrument and then I hear a good phrase or a harmony and maybe those harmonies or sounds has already some certain images or atmosphere. I pick those notes and chords and then I start playing it over and over and then it grows a little bit and in that way I develop the song. During this procedure, I develop the songs from sound but also from the image I get from the sound. In that way sometimes I come up with the next scene of that story and they develop the sound also. In that way, the sound and the image interacts with each other. I always try to make songs which have its own world in it or story behind it or such things. The inspiration of nature; the mountains, stars, the trees, you obviously take huge inspiration from the world that surrounds us? MF: Once I wondered where those images came from. I didn’t really know but when I went back to Japan – my home country after I moved to Berlin – I saw everything there: there were mountains and also birds soaring high in the sky and sometimes foggy, rainy mountains. My home town is not that much inside the countryside but there is a lot of nature around my hometown. So maybe some scenes and images which I have seen in my childhood – those small memories assimilated in me – and somehow it comes up when I play music. I like to have those feelings or atmosphere when I listen and make music. I love the wood prints that you make. The process itself must be very much related to your music, the layering and different approaches? MF: Yeah maybe because I’m not trained to make wood prints, I just started it by myself. Actually the reason I started the wood prints properly was to look for my picture for my first album as in El Fog. I looked for pictures and images but I couldn’t find the right one and I came up with the idea to make one by myself. And then I started printing; somewhere I saw wood prints and I liked the texture very much. I used the motif of a bird. The texture of wood prints itself have a similar look to the fog and also the atmospheric scene so I combine those images so I print several times on the same paper which makes a deeper texture on the paper and I quite like it. I mean it’s quite a similar procedure to my El Fog stuff you know, I put more layers on the one song and the atmosphere and the world I am trying to express with the wood print and also with the music has something in common I would say. You played the drums first before ever playing the vibraphone? I wonder how did you decide to pick the vibraphone instrument? MF: I played drums since I was a child. I liked American hard rock very much even when I was a kid and I played in a band. And then when I was in my early twenties, I was more interested in making my own music rather than just playing in a band. I also tried to make music on my own but with only drums is quite difficult. So I was trying to find some other instrument like a piano or guitar. I knew the sound of the vibraphone from my father’s records because my father is a big fan of jazz music and he played records all the time at home. I liked that sound of the vibraphone, it has this special vibration in it so I was always looking for a vibraphone instrument to play with but nobody played the vibraphone and one day I was helping this jazz drummer to move his stuff and things and one day he played with the vibraphone and that day I saw the real vibraphone for the first time and the vibraphone player said he was giving some private lessons so I thought well why not. I played the instrument for the first time and I felt, wow this is a great sounding instrument, it is beautiful. From the very beginning, I already bought this big vibraphone for myself and also at the same time, I felt I didn’t have great talent on the drums so everything came together and I decided to change the instrument. So that’s how it started. It reminds me of the prepared piano with other musicians out there in the approaches you use in the way you prepare the instrument with different pieces of material? MF: I prepare the vibraphone with strings of beads like plastic small balls, I put those on the bar and they make nice sizzling sounds. Also I put a hand towel to mute the bars a little bit and also aluminium foil that makes distorted sounds. I also sometimes play with a bow for string instruments like for the violin or the cello. I started to prepare the vibraphone from the influence of the people I played with in a band. I played in a more experimental like contemporary electro-acoustic improvised music people and those kind of bands. Those musicians played in a very experimental way. One drummer put many objects on the drums and he also put the aluminium foil on the drums and played a cymbal with balls and stuff. He told me that I should also try some different way to play and I played many, many different ways even with the electronic stuff and after a while I picked some techniques and then I decided to use it in a more musical way in my music; not just making strange or new sounds but making a beautiful and more interesting sound and also more affective in a musical way. Especially with El Fog, I love how you incorporate the different worlds of acoustic and more electronic sounds. I wonder is that a slow and gradual process? MF: In a song like the gradual layering or developments, I was maybe influenced more by minimal electronic music. I quite like minimal dub electronic stuff around that time and I really like those minimalistic structures or developments in the songs. Also, when I just started playing vibraphone, I could only play one chord at one time and another chord another time, I was using the vibraphone more like a sound sample at the beginning. And maybe that’s also a cause of why it’s so simple and no so much playing. Exactly. There is that space in the music too. MF: Yeah, I like sparse music especially back then I liked ambient stuff. Somehow I feel that when I lived in Tokyo, I lived a more hectic life there and I feel that I needed more ambient music back then and then I moved to Berlin where the life is more relaxed and slow compared to Japan and then I found I do not need so much ambient music anymore here. I needed slow, soft music there [in Japan], that’s my impression. I wonder what were your Dad’s jazz records, which must have opened a whole new world for you? MF: He was listening to records all of the time, even maybe when I was a baby I guess. So it was not like some day I heard like some special sound but more like it was part of my life. I didn’t really notice it. I mean afterwards I realized I liked some of the sounds and some of the atmosphere is sometimes connected images also. I remember when I listen to jazz, I always come up with this image where I am sitting in the car, looking at the rain dropping onto the car window and the wiper moves back and forth and back and forth. Maybe when my Dad was listening to his jazz music in the car and I was looking at the window and somehow in that way, memory and music are connected, it’s a funny thing. Do you have other plans or ideas for what comes next, Masa? MF: Now I am working on a collaboration with Jan Jelinek and also other musicians. I’m also trying to make new solo stuff, the next one of the acoustics. I have just started composing songs so I don’t know which way it will go but maybe it will be an expansion or the next step of ‘Apologues’. I mean ‘Apologues’ was the next step on from ‘Stories’ (my first album) and the third album would be maybe the next development of this style for acoustic vibraphone plus the other instruments and orchestration. Maybe I will use some other instruments but now I am trying out many different ideas and basically starting by playing the vibraphone for an hour or half an hour; picking up new phrases which have some moods and atmosphere and see how it goes. I love the sound of the orchestra and those orchestrated arrangements, especially too when there are also the solo vibraphone passages, all the elements work so well together and naturally ebb and flow. MF: I find also that orchestration or arrangements are really fun to do. The vibraphone is quite limited. Normally it has three octaves and compared to a piano it is very limited. The bars are big and you only have – well, for me –like four mallets at the same time. There is so many limitations and I find this limitation is making the vibraphone a bit more characteristic and I take this limitation in a more positive way. I think there is many possibilities with the vibraphone and with other instruments too. But I always concentrate on the vibraphone and I will always make music with vibraphone and not like sometimes using piano or orchestra but I’d like to concentrate on the vibraphone. Have you been enjoying particular records in the last while? MF: Recently I am quite interested in Christian chants from the 15th and 16th century, some really old chants with like four piece choirs. I’m pretty much amazed by this music and I like the atmosphere. And also of course some new musicians like from the same label, Erased Tapes like Nils Frahm and Lubomyr Melnyk and more electronic stuff too.